‘The Way is the Goal’ is a saying attributed to Confucius. I think this saying describes the topic better, therefore the oncoming series of posts will be renamed from ‘The importance is, how you practice’ to ‘The Way is the Goal’. 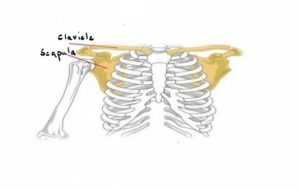 Look, a girdle formed by the collar bones and the shoulder blades. 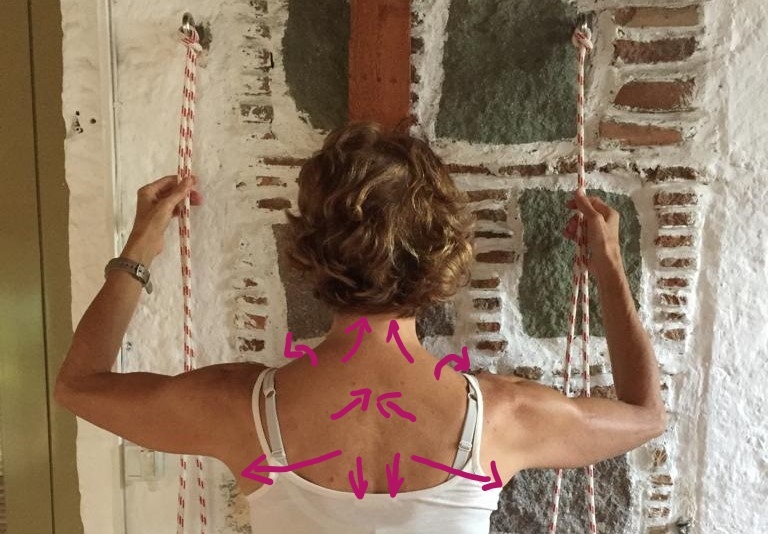 If serratus anterior is weak and not engaged, the rhomboids and middle trapezius muscles will pull the shoulder blades too much towards thoracic spine. 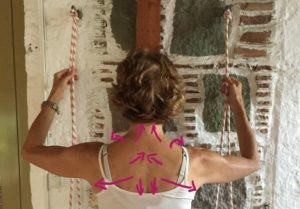 Practicing caturanga with a weak serratus anterior muscle can result in neck issues. 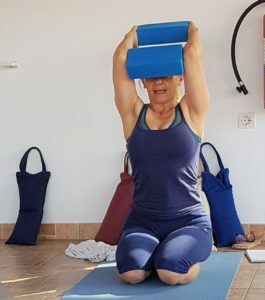 Hold 1 block between your hands and 1 between your elbows. Raise arms and hold the block with your elbows tightly. Keep your back straight by moving the front lower ribs in towards your body. 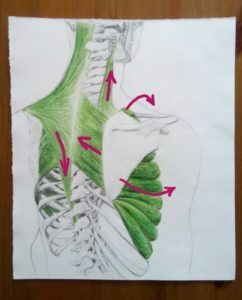 There are many muscles moving the arms around allowing a range of movement of an almost 360 degree radius: rotator cuff muscles, shoulder joint muscles and shoulder girdle muscles. All of them work together and give the shoulder stability. Not all joints get their stability through muscles, the knee joint is mostly stabilized by ligaments and the hip joint mostly by bone. 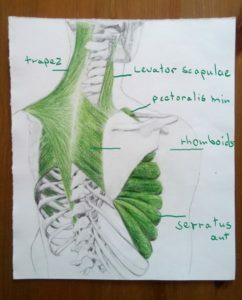 Important is that all work together in harmony, because imbalance results in injury and pain.